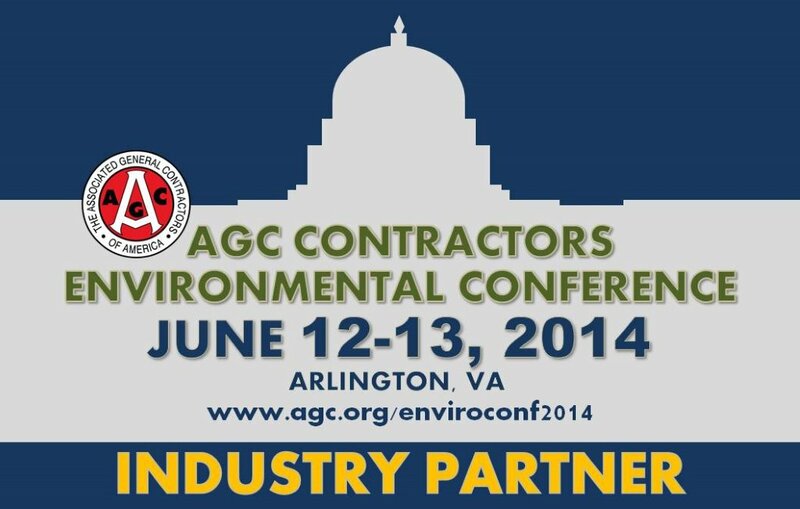 The Associated General Contractors of America will hold its third Contractors Environmental Conference on June 12-13, in Arlington, Va. As an industry partner for this conference, NDA members receive a savings of $100 off the non-AGC member rates that kick in on April 26. From leadership in sustainability to compliance with legal requirements, the 2014 AGC CEC will provide invaluable resources for environmental professionals in the construction industry. Here are five reasons why you should attend: (1) Learn how to manage the issues that keep you up at night before they result in an emergency situation; (2) Get up-to-date information on compliance and sustainability issues that most often show up on your to-do list; (3) Hear about initiatives and trends that could be a new source of savings or revenue for your company; (4) Interact and learn from federal agency representatives; and (5) Network with your peers. NDA members can take advantage of their membership discounts with a special Industry Partner Code to use during registration. Start your registration as a “non-AGC member” but then enter the code PTNR14CEC to receive the member rate for normal registration, which begins April 26. Everyone benefits from the early bird registration savings through April 25. One of the many items to be discussed the upcoming NDA Board of Directors’ Meeting at the Pan Pacific Hotel on Vancouver’s historic waterfront on Saturday, June 7, will a review of the proposed 2014/15 fiscal year for the Association. Included in next year’s budget will be funding for the NDA’s 42nd Annual Convention at the Gaylord Opryland resort in Nashville, Tenn., March 21-24, 2015; the expansion of the Association’s Education Initiative; and the Board’s Disaster Response Committee’s program to provide the first response community in the U.S. and Canada with information about the capabilities that a modern demolition contractor can bring to bear at a man-made or natural disaster site. For more information about the NDA’s Summer Board Meeting in Vancouver, contact NDA headquarters at 1-800-541-2412 or info@demolitionassociation.com. The Southern California Chapter of the National Demolition Association will be celebrating its 25th Silver Anniversary Golf Tournament on June 4-5 at the Pacific Palms Resort in City of Industry, Calif. The program includes a cocktail reception and dinner on Wednesday evening followed by the So Cal’s golf tournament on the Pacific Palms beautiful course. For more information, contact NDA headquarters or see the attached flier. Organize your home, gear up for outdoor activities and look your best with these merchant offers. Shopping through AchieveLinks earns you Links® Reward Points on every dollar you spend. Redeem them for practically anything — merchandise, travel, once-in-a-lifetime experiences, gift cards and more. It's going to take much more than we first thought to get Bertha moving once again. Business owners who are already impatient with Bertha's delay are now learning that there will be more inconvenience ahead. Crews will start to dig a giant pit in front of Bertha; the machine will then tunnel its way into the pit so the repair process can begin. Drywall is a major component in demolition asset recovery. Demolition outfits recover drywall for its key component, gypsum, a mineral that is also used in cement, fertilizer, and compost, among other applications. Since gypsum typically makes up to 90 percent of the weight of drywall, it can be recovered fairly easily and is currently being recycled in several locations across North America. The construction industry says it's in danger of running short on workers to keep up with the demand for building projects, as employees age and more teens are pushed to go to college. To counter the effect, a top construction trade group kicked off an effort to help bolster the employment ranks. The Institute of Scrap Recycling Industries, Washington, D.C., has announced a redesign and upgrade to ScrapTheftAlert.com. ISRI says the website allows law enforcement (and certain corporate security personnel) to post alerts that are sent to users within a 100-mile radius of the theft location. Getting the most out of employees has always challenged employers. It is particularly difficult in today's highly-regulated business environment with increased global competition and changing employee attitudes. Performance management is not just about dealing with the poor performers. Instead, as explained in the following paragraphs, it is a more holistic process that begins with getting the right people, setting employee expectations, coaching employees and ultimately dismissing the poor performers or employees who do not fit the organization. A research team is developing "transient materials" and "transient electronics" that can quickly and completely melt away when a trigger is activated. That could mean that one day you could send out a signal to destroy a lost credit card, or when soldiers are wounded, their electronic devices could be remotely triggered to melt away, securing sensitive military information. The field of study is very new, but progress is being made. The Institute of Scrap Recycling Industries, Washington, D.C., has announced a redesign and upgrade to ScrapTheftAlert.com. The business world is risky business. It isn't for the thin-skinned, the weak-minded or the faint of heart. And if you fit one of those colorful descriptors, sooner or later, you're probably going to get weeded out of the entrepreneurial gene pool.